Information and ideas on the self-publishing industry. I am the President of Southwestern Publishing Group, Inc., a leader in the custom publishing industry. Naturally, I enjoy discussing 'all things books', but occasionally, you will hear a political or sports view. If you have a regional cookbook or have published a cookbook highlighting regional foods, you should be aware of this trend for sales and marketing purposes. If you are developing a cookbook at the moment you might want to include some recipes that take advantage of the trend. What ideas does this trend generate for you to include in a book you are writing or use to promote your current cookbook? Most of us like to know what others think about a book rather than the actual author. Of course, the author likes the work but the third party endorsements by others can really drive sales. Recently, I was asked to write a guest blog post for a client, which I was glad to do. You can find that post here. Do you have "guests" within your community who would enjoy writing a testimony about your book? If so, you will create a win/win situation-the guest will be flattered and your book will receive a third party endorsement. How do people purchase cookbooks? This is a question that certainly has more answers now than it did 5 years ago. In today's world, consumers have many more options on how to purchase a cookbook (or anything else for that matter) than at any time in history. There are multiple online options as well as online format options. The retail options are also numerous. Many of the retail options offer little, if any "direct affect" opportunities for you the seller. By "direct affect" I mean the opportunity to interface with the consumer or exert any personal influence on the buyer. However, one avenue still exists where you the seller can influence the consumer and affect sales. This opportunity exists within your local bookstore or gift store. Let me explain. With the advent of online sales such as Amazon and the exit of local bookstores the art of selling books has been diminished greatly. However, there currently exists a new wave of local, independent booksellers that are doing quite well in sales and revenues. With the departure of Borders Books and the ongoing struggles of Barnes and Noble, we are seeing a rebirth of the local bookstores. In my opinion this is a GREAT thing. Books are not commodities. They are unique by nature. By reaching out to the local independents you have an opportunity to demonstrate to the store owner or manager what is unique about your publication and can often take advantage of local marketing options from these stores. For example, one Junior League I am familiar with has a great relationship with their local Barnes and Noble, a very popular local deli and a gourmet grocery/restaurant that each offer opportunities to partner and promote their books. Having retail partners who can tell your story to consumers looking for book advice is a partnership worth its weight in gold for you the author. Let me encourage you to reach out in person to these local opportunities and develop personal relationships with the owner or manager. Make sure they always have ample inventory of your title. Keep them updated on local media regarding your book. Offer taste tests on occasion. Offer personal service for free delivery if at all possible. Mention these retail partners in your media and on your website. Remember partnerships work 2 ways--find out what you can do for your retail partners and they will work to sell your book. 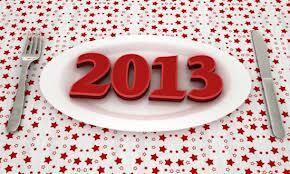 Happy New Year to each of you. Like most of you I enjoyed the holidays (extended this year due to both Christmas and New Year falling on a Tuesday) and have come back to work energized and rejuvenated. I always like to begin the New Year by setting my goals for the upcoming year. In fact, within the Southwestern Company we all set written goals annually. The company deems setting approved written goals important enough that annual bonuses are tied to the goals attainment. Have you set your goals for your cookbook yet? 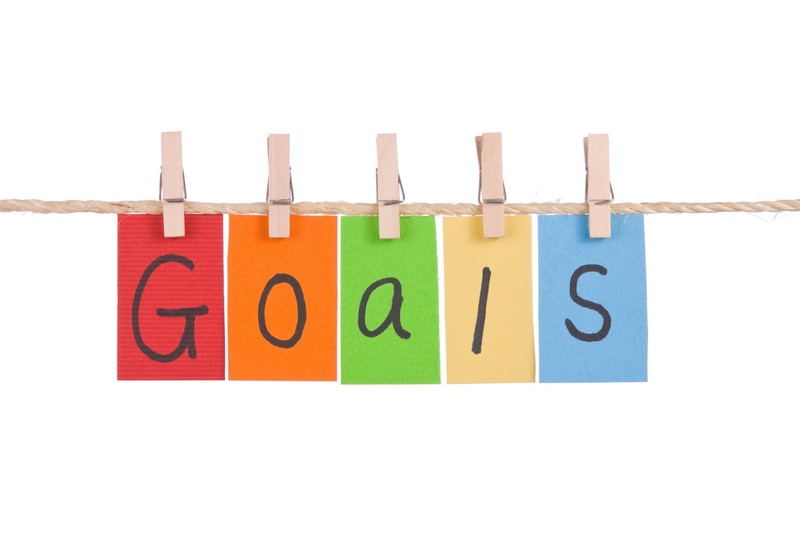 Goals can take many formats and be set about a variety of tasks. I would like to share the approach we take to goals for your consideration. Goals should be written. If they aren't written down they are only dreams. Goals should be written very Specifically. Goals should be able to be Measured. Goals should state who is Accountable. Goals should always contain a Timeline. Here are a few challenge questions I use in evaluating my goals, as well as the goals of others who might work directly with me. When I read a goal and it has some general term within it that I don't know how to measure I immediately ask that it be re-written. For example, a goal that use the term "increase" without a specific percentage for the increase is too general. I always ask "how do we measure this goal?" If the answer is not clear or there is ambiguity it has to be re-written. The accountable question is important because often a goal affects a department or staff. Therefore, there should also be agreement on how the goal will be managed along the way and who will be accountable for various tasks within the total goal. The realistic challenge goes to human nature. Naturally we all want to set high goals but realistically will there be follow through if there isn't a high belief factor in the beginning? 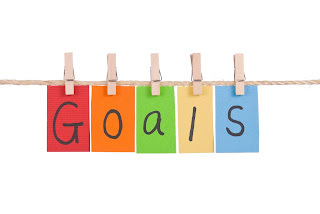 It is too easy to abandon the goal early in the year if the goal isn't realistic. I love using a timeline element because it allows me to discuss the goals and keep them in the forefront all year long. I find that if goals are discussed regularly and progress evaluated along the way there is a better chance of success. I would love to hear what your goals are and what techniques work for you. There are a variety of opinions in the media regarding the demise of the printed cookbook, especially community cookbooks. However, I have discovered an equal number of opinions that express the opposite view — e-books will not replace printed cookbooks. This article came across my desk today from a Canadian media source and I found it very concise and interesting. Let me know what you think. One more thing, Merry Christmas! Most of our clients involve a team to both create and market their titles. Even some of our individual authors recruit others to assist in the process. 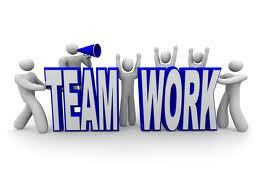 Granted, the committee structures of non-profits greatly enhance the need for great teamwork. And yet in our society too many individuals have a "me" first attitude. I read an interesting blog article from my friend Mike Weber (Breaking the Unwritten Rules) which I think you might enjoy. It is relevant to the subject of "Teamwork". One great lesson I learned early on in business is "it is amazing what can be accomplished when no one individual is worried about who gets the credit". Some unwritten rules are universal. They transcend culture, age and demographics. The Rule of ME is the best example of such a rule. Reality is this: It’s not really about me, it’s about us. We live in community and work in community. Businesses that succeed are often collaborative and team-based. Communities that thrive are ones where we work together for the common good. We talk about working together, but the reality is that we aren’t very good at it. That’s why, when we see an unselfish sports player, we declare how great he is. When a team works together, we call them unusual. When an individual decides to sacrifice time, money or life for the good of another, we call them a hero. In all three cases, they’ve simply broken the Unwritten Rule of Me. They’ve decided that it’s not about them. It’s about the success of the group or team. It’s about putting some one else first and investing in the lives of others. Here then is then challenge: Break the Unwritten Rule of Me! Talk about the purpose and dwell on it. Recognize the commonalities among the members of the group. Remember that the outcome is more important than who gets the glory. Thanks to Mike Weber for sharing this "pearl". Perhaps if you are a committee chair or even a committee member this advice will make you a better team player and lead to success for your endeavor. Communities come in all shapes and sizes. There are local geographic communities, athletic communities, arts communities and the list goes on and on. In other words, when we talk about a "community" cookbook it could refer to a locale or to a group of followers devoted to a particular subject. In the case of new cookbook, That Sounds Good, A Cookbook Celebrating 30 Years of WWOZ, it is the latter. This spectacular cookbook (which is available for purchase later this month) was put together by Friends of WWOZ, a community radio station in New Orleans dedicated to preserving and showcasing the music of Louisiana. This book is a perfect example of telling a story through the subject of food. It is loaded with recipes from local musicians, writers, and industry talent. The photographs take the reader through a 30-year time period that saw great changes in the music and art, as well as radio itself. 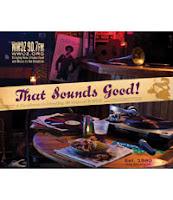 If you like good Louisiana cuisine and enjoy jazz music along with great "behind the music" stories, check out That Sounds Good - you'll be glad you did.